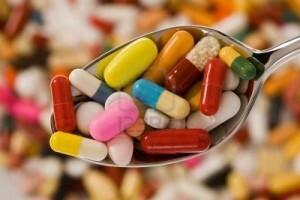 The Lok Sabha on Thursday passed the Narcotic Drugs and Psychotropic Substances (Amendment) Bill, 2011, simplifying the regulations for procuring and possessing narcotic drugs when used for medicinal purposes. Once passed by the Rajya Sabha also, it would bring relief to thousands of cancer patients in the country who use opioid for acute and chronic pain relief. Use of morphine was under strict regulation under the NDPS Act, 1985, and lengthy bureaucratic procedures discouraged its manufacturing in the country and limited its availability at medical institutions that care for cancer patients. The amendments will prescribe the forms and conditions of licence or permits for the manufacture, possession, transport, import inter-State, export inter-State, sale, purchase, consumption or use of essential narcotic drugs and charge a fee for that. The Indian Association of Palliative Care (IAPC) had been pushing for the passage of the amendment Bill in Parliament.